Dave Bodily LBPPAThis shows the qualification attained by Dave Bodily within the SWPP and associated societies. Type business: Full Time Professional Photographer. 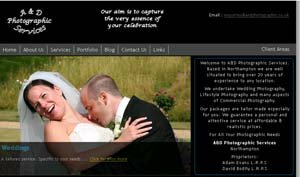 My photographic style: Traditional / Contemporary but most of all FUN, friendly, capturing your wedding day as it happens. My greatest strengths: My strengths include connecting with people, putting them at their ease and getting the best out of them. You can learn all the technical aspects of photography, but composition, an eye for detail and communication with your subjects cannot be taught. I have been in photography: Over 20 years. How I got started in photography: I loved taking pictures as a child, I learnt developing and printing at school, then went onto college. My photographic skills: Story-telling, interaction with people. I'm formally trained in all aspects of photography and good with Photoshop. My personality: Fun, friendly, reliable and professional. I'm easy going and love working with people. Geographic areas I cover: Mainly Northamptonshire but happy to travel anywhere. I found inspiration from: Inspiration comes from everywhere. Success in photography: I've had various prints used in exhibitions, calendars, magazines and newspapers. Photographic training: 15 City & Guilds qualifications 13 of these are Distinctions. My interests outside photography: Rugby, family and reading. Major events: Marriage 28 years ago. Birth of my 2 children. Tagline: Capturing tomorrow s memories today. Future plans: Work hard. Keep learning. And finally: I worked on our local news paper (The Chronicle & Echo) for 3 years and have been a partner in A&D Photographic Services for over 20 years.